On an unseasonably chilly, rainy evening, smack in the middle of a Los Angeles summer, Robert Walker died in his Brentwood home at the age of 32. His best friend Jim Henaghan, a Hollywood columnist, was at his side along with two doctors who had been called in earlier that evening to help calm the nerves of an emotionally unstable Walker. They had administered a routine sedative, one which Walker had received on several occasions, only this time the actor, who had been teasingly joking with Henaghan mere moments before, stopped breathing. 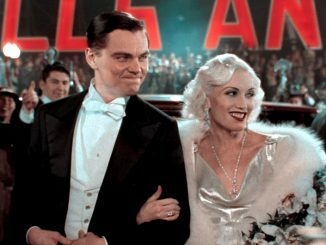 MGM production chief Dory Schare, who had invested much effort over the past few months in rehabilitating Walker both professionally and emotionally, was called by an inconsolable Henaghan whom he found upon arrival, rocking in a chair, sobbing and shaken. Henaghan had often been the do-as-I-say paternal figure in their friendship and this night, when the doctors had advised it necessary, had forced his friend to take the injection by literally holding him down on the bed. 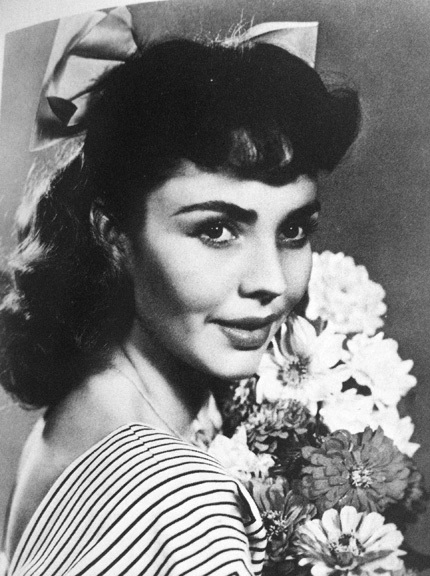 3,000 miles away, Jennifer Jones was prepping for a trip to the Venice International Film Festival with her husband, David O. Selznick, when the wire came in that her ex-husband, and the father of her two children, was dead. Mrs. and Mrs. David O. Selznick immediately returned to the coast. 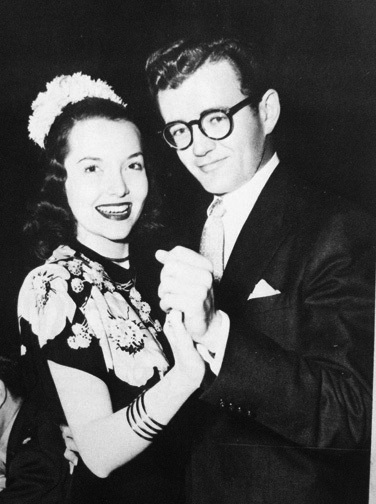 Although separated by a divorce of six years and a string of highly disastrous relationships, flirtations and flings (including a brief but violent affair with Ava Gardner during the filming of One Touch of Venus) the truth was that Walker had never got over losing Jones to David O. Selznick. The two had practically been children when they met, not more than 20 each, and fell in love while attending the same dramatic school in New York. One year after meeting they were married, deeply in love and deeply ambitious to make it big on Broadway. What came for Walker was success in radio. What came for Jennifer Jones – then Phyllis Lee Isley — was motherhood. What came for both of them, eventually, was a chance at Hollywood. It proved to be the beginning and the end. The beginning of two sparkling screen careers– Phyllis born again as Jennifer Jones and netting an Academy Award for her screen debut, and Walker making a mark as the ultimate boy-next-door. And while Walker was a genuinely kind-hearted fellow, his “gosh-gee-fellas” demeanor on screen belied the rebel beneath. It took the unexpected atom bomb of a divorce to bring those dark, haunting ghosts (with him since his ne’er do well days as a military cadet) to visceral fruition. Much in the same way that the soon-to-be-famous method actors Brando, Clift and Dean would outwardly buck the system, Walker was in every way a Hollywood rebel. 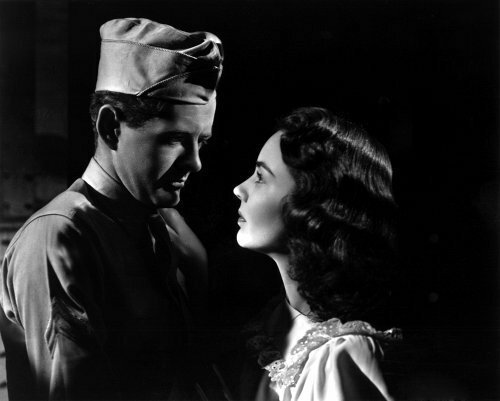 He never wanted to be a “movie star”, and when he became the victim of a systematic plot by an obsessed David O. Selznick to possess Jennifer Jones at any cost, his indifference toward Tinseltown became acerbic. Selznick produced the poignant wartime melodrama Since You Went Away during the traumatic climax of their divorce, of which he had been the careful orchestrator, and refused to recast Walker. 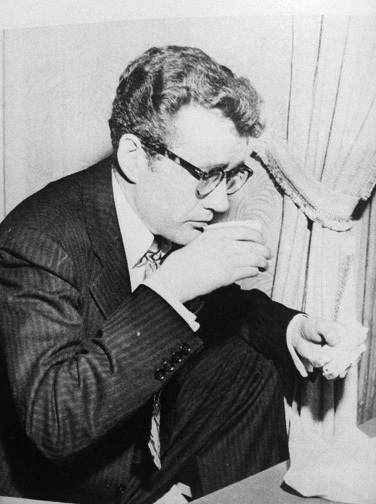 Selznick not only insisted on Walker playing Jones’ ill-fated love interest, but personally oversaw some of the most gutwrenching dialogue between the two lovers. Walker and Jones in Since You Went Away. Walker on the single scene. 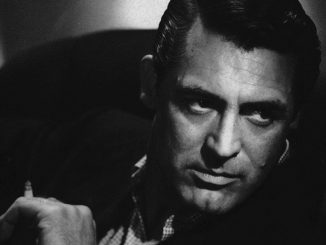 And although a propensity for drink did not in any way help his emotional state, MGM still held on to him as a worthwhile property. 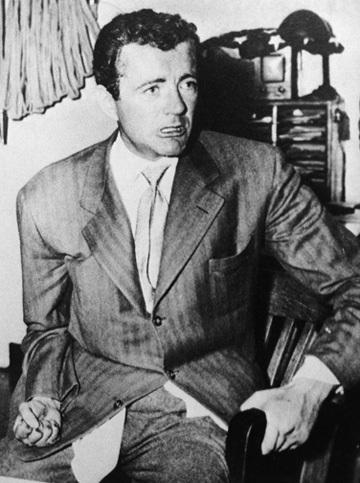 The new MGM production chief Dore Schary took a particular interest in Walker, dedicating much time and effort in rehabilitating Walker personally as well as professionally. As Walker’s spells of melancholia and emotional outbursts were becoming more frequent, they were also becoming decidedly more violent: random vocal tirades (according to Henaghan they would be having a normal conversation when suddenly Walker would cry out; “DAVID O. SELZNICK!”) and unexpected fits of rage that resulted in him smashing his fists through walls or windows. 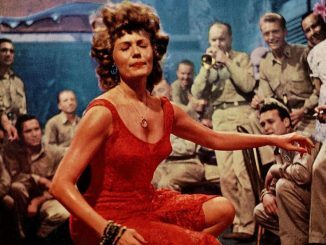 (After interpreting a casual flirtation by Ava Gardner into something more, he struck her across the face during a heated argument. They finished filming without speaking to each other again.) Increasingly emotionally fragile, it was following Walker being booked for drunk and disorderly conduct (which resulted in an embarrassing photo that would be seen ‘round the world) when Schary forced him to seek psychiatric help at Meninger’s Clinic. It is impossible to be sure, but perhaps it was this well-publicized sojourn at Meninger’s that led to Alfred Hitchcock casting Walker completely against type in the psychological thriller Stranger’s On a Train. 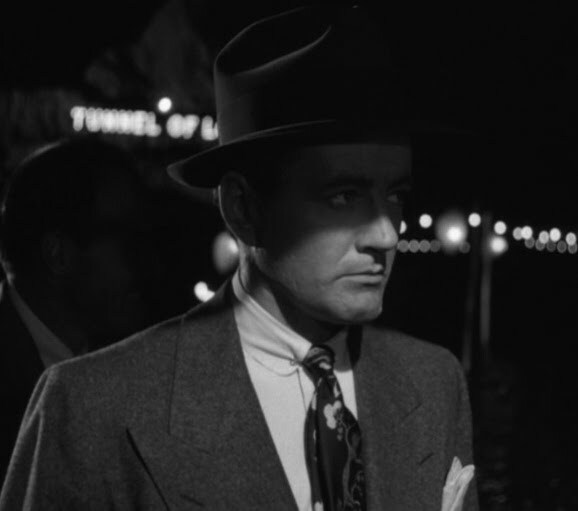 Whatever Hitchcock’s reason, it is well documented fact that Walker was his ONLY choice from the very beginning to play the charming sociopath Bruno Anthony. The result was a chilling, disturbing, and altogether perfect performance by a deeply nuanced Walker who not only carried the film but walked away with it completely. Director Leo McCarey’s deafeningly Anti-Communist soapbox of a film My Son John followed and, although Walker was highly dissatisfied with the way the shoot was going, his career looked to be on the mend. Being a father had become especially important to Walker as he would race home after a day’s filming to have as much quality time with his two sons as possible. And although dealt a blow by the swift wedding between Selznick and Jones, Meninger’s friendship had indeed done Walker good. He’d entered a new phase of his life, not as a mere studio “property,” but an actor in his own right. The fact of which made Walker’s untimely death that rainy night all the more tragic. I poured myself a drink and went into Bob’s bedroom. They had covered him with a blanket. I uncovered his face, straightened his head, closed his eyes, and smoothed his hair, for he was a vain man and I knew he would have wanted to look as good as possible when they came for him. I sat alone with him for half an hour and spoke to him as though he could hear me. I wanted desperately to call him buddy just once more and to have a last laugh with him. Then I remembered an outrageous running joke we had shared for many years. “If I were to die in this house tonight, the first thing you would do is steal my money.” And he sat on the stairs and laughed for ten minutes at the thought. I got up from my chair and picked his trousers. He had no money in the pockets. So I stole his watch. I just saw “strangers on a train” and looking for info on the actors came across this. Very sad to hear what happened to Walker, so young too. RIP. I still don ‘t know how this wonderful actor, Robert Walker died. Please tell. It’s actually a little messy. He was an alcoholic (and prescription pill abuse) and perhaps mentally ill. In the 1940s they talked of “outbursts”. What does that mean? Well, he would get angry, he would cry, etc. Is that mentally ill or someone going through a tough time in life. In any case, he had an “outburst”, cried for hours and a psychiatrist was called to where he was staying. They had to hold him down to give him tranquilizers and he either had an allergic reaction or they gave too much. Either way he was dead in minutes and his friend, who helped hold him down, never forgave himself, believing he helped “murder “him. Just a messy, tragic affair, like his life. He died in his early thirties yet in his last movie roles he looked like a man of 50. The sorrow and heartbreak of his life was etched in his handsome face. What a shame, and what a waste. He was a fine actor and although I didn’t know him I imagine he was a very sweet man.